16 Routes Including Madrid, 1m Customers P.A. Ryanair today (13 Nov) announced it would open its 1st Slovakian base (base No.71) at Bratislava in March 2015 with 2 based aircraft and 16 routes including 1 new route to Madrid which will deliver almost 1 million customers p.a. 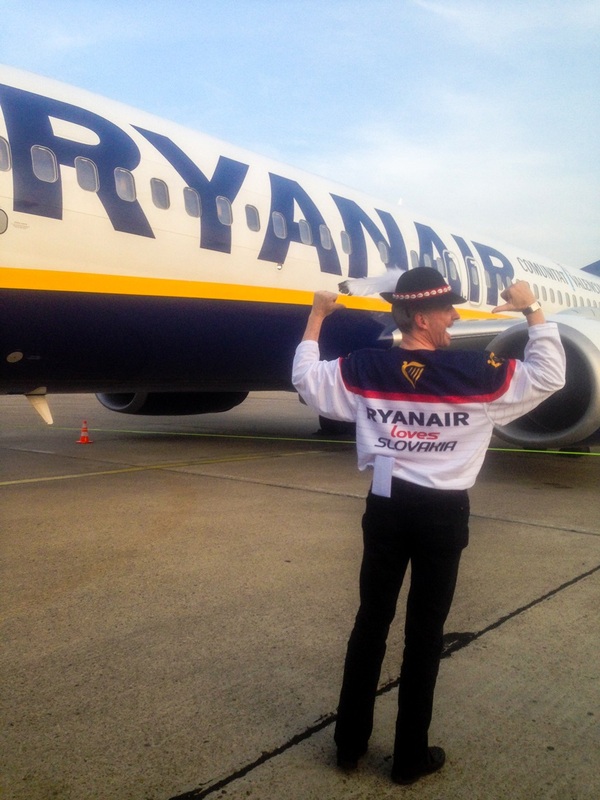 and support 1,000 “on-site” jobs*, as Ryanair invests over $200m at Bratislava. Ryanair celebrated its new Bratislava base by releasing 100,000 seats for sale across its European network, at prices from €19.99 for travel in December, January and February. These low fare seats are available for booking until midnight Monday (17 Nov). “Ryanair is pleased to announce its 71st base in Bratislava from March 2015, offering 16 exciting routes in total including Dublin, Madrid, Milan and London Stansted which will deliver almost 1 million passengers annually and support 1,000* “on-site” jobs, as Ryanair invests over $200m at Bratislava Airport. Ryanair customers in Bratislava can choose from 16 routes next summer, while enjoying allocated seating, a free 2nd carry-on bag, reduced fees, a new website, a brand new app with mobile boarding passes, and our new Family Extra and Business Plus services, making Ryanair the ideal choice for families, business and leisure travellers.